I had this weird realization near the end of the series that I just didn't really like Korra. I didn't dislike her, or feel that she was poorly characterized. I just never warmed to her as a character the way I did to Bolyn, or Asami, let alone any of the original Avatar characters. I have no idea why that is. Perhaps it was because she was almost entirely reactive to events, whereas Ang and friends always seemed to be driving them. 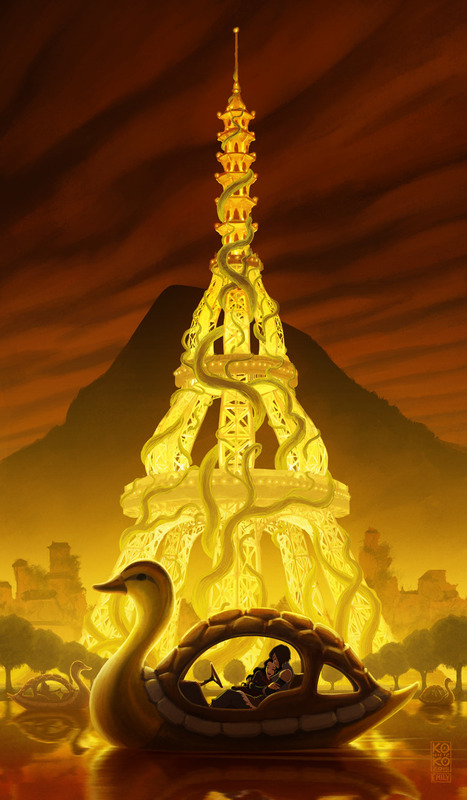 A lot of the "Legend of Korra" seems to be more like "The Legend of Jinora" or "The Legend of Tenzin". The thing to keep in mind is they were intentionally introducing two different characters in two very different situations. Aang was running away from his responsibilities as the Avatar, and within the first few episodes he had faced the consequences of those decisions and chosen to stop being a child (sort of) and wear the mantle of Avatar. As the show progresses, Aang is constantly forced to deal with what it means to be the Avatar. Does he let go of his Earthly affection for Katara, or does he become the best Avatar he can be? Does he kill Fire Lord Ozai, or does he find another option? Aang's struggle is the struggle of living up to his title and responsibility in a world where he has been absent. It's a very easy personality to relate to, because Aang is overall nice and kind. He doesn't want to hurt anyone. He just wants people to get along. He's naive, but not to a foolish degree. He is constantly forced to deal with reality, and sometimes he is even punished for his naivety or arrogance, but ultimately he is able to be the Avatar and Aang. It's a very relatable position to anyone, children or adults (imagine being an older sibling and having to hear people tell you that, because you're older, they expect more or better of you than your siblings. My niece was thrust into this position recently, and it's a struggle trying to communicate). Korra is the exact opposite of Aang. She was not raised by monks, was not raised to enjoy the simple life. She was prideful even as a child, and while we didn't see her BEFORE she was the Avatar (after all, the first shot we have of her is as a child bending multiple elements), we are able to see that she takes on the role willingly and eagerly. She has a very different sort of naive attitude, where she merely expects people to respect and need her because she is the Avatar. The show is instead built upon the question of "Does the World really need the Avatar? ", and honestly, I don't think they really answer the question by the end. Perhaps another question is, does the world need Korra as the Avatar? It's a much more different dynamic to build your show off of a prideful, arrogant personality constantly being beaten into submission, told how much they aren't needed or wanted. It's very different than being angrily told "Where have YOU been, now when we needed you most? ", because there's still a sense of need there. It's one thing to feel overwhelmed and stressed by the demands on your shoulders, but to be made to feel unneeded? Worthless, even? Unfortunately, because of Korra's personality, it makes it harder to empathize with her. Do any of us really think of ourselves as prideful or arrogant? Probably not. In addition, again, we got to see Aang's personality and struggles stretched across an additional 20-some episodes compared to Korra, and honestly, far less happened in The Last Airbender. While sometimes fewer episodes can result in much tighter, cleaner writing and more efficient execution of a story, I think that combined with the thirty-minute time limit really gave the team a major handicap. If Korra had hour-long episodes or full-length seasons, we likely would have gotten much greater characters and character dynamics. 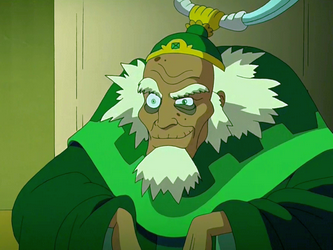 What ever happened to the real Bumi? He died, or so I'm assuming. Of all the things to be curious of, I'm most curious about the specifics of Sokka's story. We barely got much exposure to him in all the seasons of Korra, and I got some questions, but honestly, I appreciate some level of mystery. They really made sure this series wasn't about Aang and the original Team Avatar, while still teasing and giving bits of fan-service to old fans. Unfortunately, because of Korra's personality, it makes it harder to empathize with her. Do any of us really think of ourselves as prideful or arrogant? Probably not. I wouldn't be sure about that, because I can relate to Korra far more. Korra is the overachieving, perfect test scores kind of kid who assumes that because she excels in all her lessons and training that she's the best and prepared for everything. Then she leaves school and realizes gradually that she's not as good as she assumed she was, that her training didn't actually prepare her that well for the world outside her compound, and that the world at large doesn't care at all that she was a child prodigy who was bending three elements as a toddler, they only care what she can do for them now. It's not everyone's experience, but not everyone can relate well to Aang, either. You raise an excellent point! It feels like they doubled-down more on her hot-headedness and brash attitude more than anything, which is very different from the "I'm a child prodigy" angle (or rather, is usually done in a different manner when it comes to this sort of entertainment). I think it's partially down to how the first season's missteps locked them in to certain decisions (Mako as a love interest, etc.) and the staccato nature of the other seasons prevented them from exploring some of the more interesting underlying themes. The relationship between the spirit world and the bender world, especially in the world that's increasingly detached from nature; the place of the non-benders; the role of bending in a technological society; whether the Avatar's very personal brand of peacemaking has a place when the Avatar doesn't represent the masses of people; et cetera. Some of the themes were explored, but not really as fully as I felt that the first show dealt with its underlying themes. Basically yes, this sort of plot is usually done with people who are child prodigies in terms of intelligence, which is generally associated with different traits. Korra was a child prodigy in martial arts so her S1-2 behavior of being hot headed and throwing elements at everything matches up. This is really cool. I love these guys. Word coming out of SDCC is that they'll be doing a series of comics that occur after the end of Korra. Yay! Edit: Dark Horse is the publisher again I think. Best news after a long work day. Republic City Dispatch did a bonus episode for the new Voltron: Legendary Defender series. I wasn't a huge fan of the steampunk technology from S1 and S4 - I felt like Zaheer and crew was the most legitimately scary, at least from a physical perspective. I think this is the most female development I've seen in any tv show that I can remember, definitely for anything animated. In a similar note, there was a surprisingly amount of development for the middle aged characters - something I felt the original Avatar had much less of. Kind of wish they developed their bending more though. All of the characters in the original Avatar took their bending to new heights or used them in different ways. Would have loved to see Mako use more lightning (that was a sweet defeat of the tentacle arm water bender though) or manipulate the shape more, or even whip out blue flames. Loved the ending. At first I was kind of waiting for some epic brawl showdown like Aang vs the firelord, but I think this is an ending much more suited to Korra's development as a person/avatar. It's strongly implied that she could have won by sheer force, but didn't. Also the end with her and Asami was sweet. I absolutely adored Avatar: The Last Airbender from beginning to end and was very eager to love this show. Sadly, the love I had for Avatar never materialized with Korra. It really suffered from a lack of direction from the first season and it trapped itself with trying to make Korra/Mako a thing. None of the characters were as likeable or compelling as the original gang. I always felt the Asami/Korra ending felt a little too tacked on. They should have started that way earlier. Imagine if the season 1 love triangle had Asami at the head instead of Mako. That would have been interesting. My girls are binging Aang Avatar, so they can follow on with Korra. My wife and I feel they are a little older, and a little more ready to watch the content, and related themes in Korra. They love Aang, and they also love how he goes to great pains to solve all problems peacefully. It's going to be interesting to see how they digest Korra's more conflict orientated approach to being the Avatar. I think it would have been impossible to have had that made. They pretty much had to sneak that relationship in there and what we got was as good as it could get, from Nick. A better solution may have been to cut the love triangle angle entirely -- and maybe even Mako's character, since he contributed little to the show -- and spend more time developing Korra and Asami's friendship. Just popped in to say: season 2 was SO GOOD. I'll read the rest of this thread in 26 more episodes. Mrs. Gravey and Leia are already on season 4, so I have to catch up real quick. One season left, and I hope it answers the most important question this show has raised: does Asami ever take that coat off? Well, it's a nice coat. I wouldn't take it off either. They were in the desert! Going to have to side with Demyx on this one--when you can rock a coat that hard, you never take it off. Her hair stayed glorious the whole time, so it can't have effected her that much. I'd rather they make a 3rd animated series with a new Avatar, but this could be good (I hope). I don't understand. Like, obviously there are all kinds of things wrong with the Emm Knight Shabadoo version that can be corrected, but then you're still left with a story and world that were crafted lovingly for an animated medium being torn away from one of the major things that made it special. More seriously, Amazon, Netflix, and the other players are going big on a ton of television production. Everyone's trying to grab the next Game of Thrones, or at least the next big streaming success. I would love to see a great live action version of Airbender. It's such a great series. I'm excited by the news but a little worried, because so much could go wrong. My kids and I are STOKED about it. We were very disappointed by the movie, and think this is a great way for the story and characters to reach a wider audience who might not be so big on watching something that's animated. It does nothing to the already existing content, and is at worst some very expensive advertising for it. My main concern is that without a ridiculously huge special effects budget they're never going to come close to the visuals of the animated series.